For those of you who love Game of Thrones, you are probably familiar with Iron Throne, what has caused so many wars and cruel conspiracies to get it. This war led to many deaths, many of the families were dissolved, typically the Stark family, who were good but suffered a great deal. Let’s wait for Season 8 of the movie to be released next year. Before that, back to the main topic. 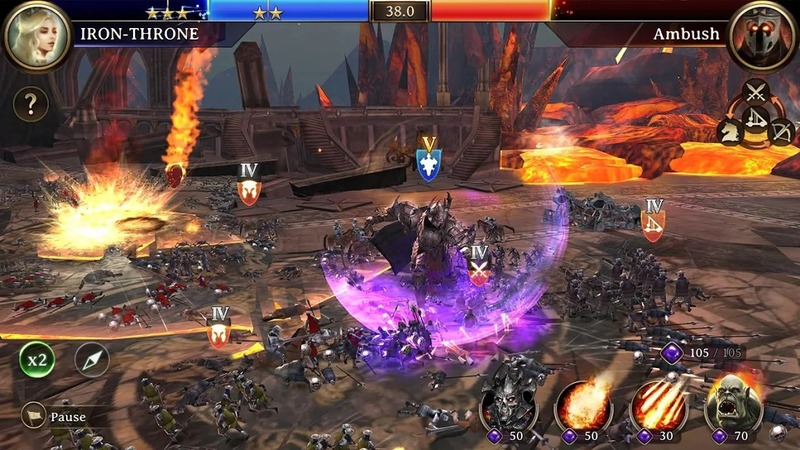 Iron Throne is Netmarble’s new strategy game, though it has little to do with the movie, there is much in common around the battles of the most powerful clans in the Middle Ages with the ambition of seizing the gold throne. Netmarble is a subsidiary of Tencent, China’s largest game publisher. 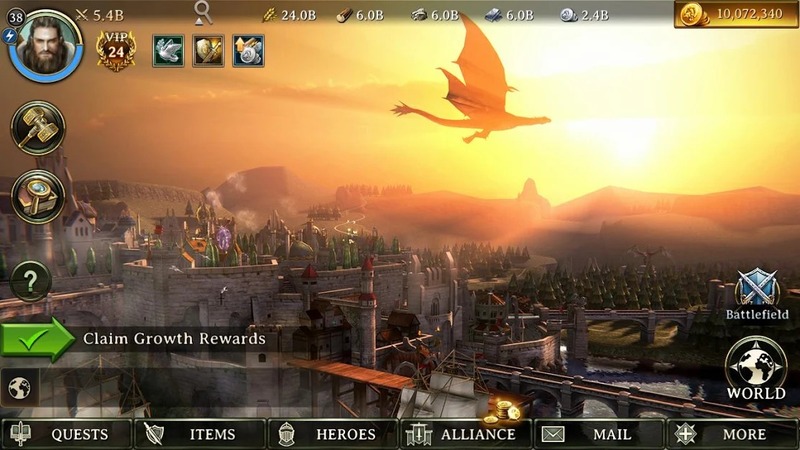 Most of the games produced by Netmarble are successful. In other words, the publisher has no shortage of experience to bring players high-quality games, such as Lineage 2: Revolution or Marvel Future Fight and many other titles. Thus, players have the right to hope Iron Throne is a blockbuster strategy game on mobile next time. The other strategy games are not focused much on graphics, often have simple graphics, classic. However, Iron Throne has brought a whole new experience. The graphics of the game use Unreal 4 technology, developed by a team of 50 people in 3 years, making the game is the best strategy game ever. I am very impressed with the graphics. The kingdoms are simulated real with high-resolution 3D graphics. To win all the other kingdoms, you need the strongest army. But before that, you should be concerned about the ability to defend your kingdom. Build strong walls that can withstand the attacks of the enemy. 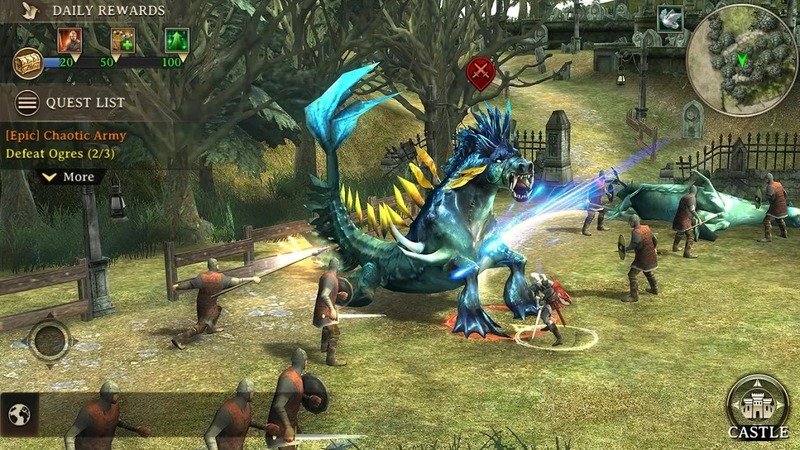 Your enemies are not only human but also have dragons and ancient monsters, they are ready to attack you at any time. A strong kingdom does not only have the military, you have to develop the good economy to always have enough resources and food for the constant war. Upgrading your buildings, it will produce more gold. The hero system of Iron Throne is varied and each hero has its own strengths and weaknesses. You have to choose the heroes that are best suited to your army, who will lead your army to victory. After levelling up, you are allowed to unlock new skills. Don’t forget to unlock armor, sword, shake armor, … so that they become stronger. The army is also very diverse with a variety of troops such as infantry, archers, cavalry, … How to arrange your army to create different tactics, you can create unique tactics Best. The modes of Iron Throne will take you to conquer many different lands. The game has a combination of tactics and a little bit of RPG. You will be confronted by other players around the world. They are also tactical masters, so you are not allowed to subjective, despise opponents. If you do not like to fight, you can shake hands with them, creating powerful alliances that frighten other rivals. Battle Royale: Fight with other kingdoms to win. Team Deathmatch: This mode is where you and your comrades fight against other allies. These battles are very large, maybe 20vs20 even 100vs100. Dimensional Battle: The plot mode. Do the task and open up new storylines. Town Mode: Your castle has some mysteries. Find out what it is. Is the above interesting enough to make you feel excited? Start building your own kingdom today by downloading Iron Throne via the links below. You should prepare a high-end phone for a better gaming experience. Iron Throne APK is ready to download! 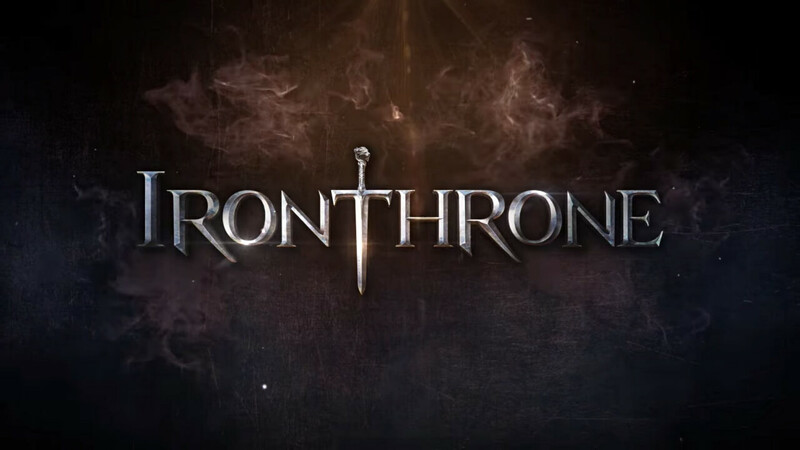 Depending on your needs, you can download Iron Throne MOD APK or Iron Throne Original APK. Or install from Google Play / App Store if you want.